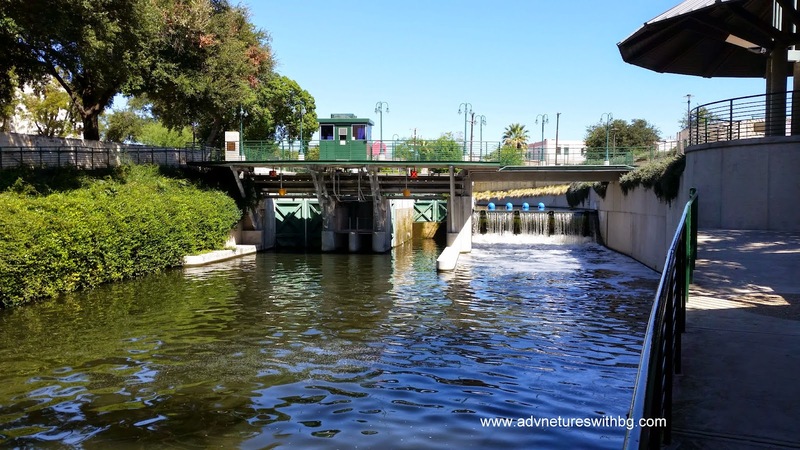 On the other end of the hiking spectrum from the previously reported Goodwater Loop is the Museum Reach of the San Antonio River Walk in San Antonio, Texas. 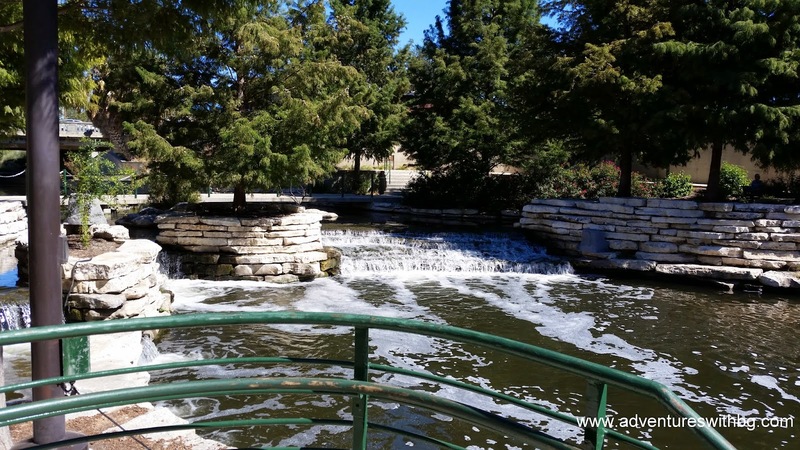 The San Antonio River Walk offers over fifteen miles of continuous paved trails stretching from the Witte Museum in the North to Mission Espada in the South. Given the length of the trail I have decide to break it down into several sections; today's trek was just under 3.75 miles round trip. This trip will focus on the walk from the Pearl Complex to Navarro Street. This trip I was solo, since my wife jenny has to work on weekdays. As I touched on earlier, I have decided to break the River Walk into four easily walkable segments. Today we’ll walk the South Museum Reach. 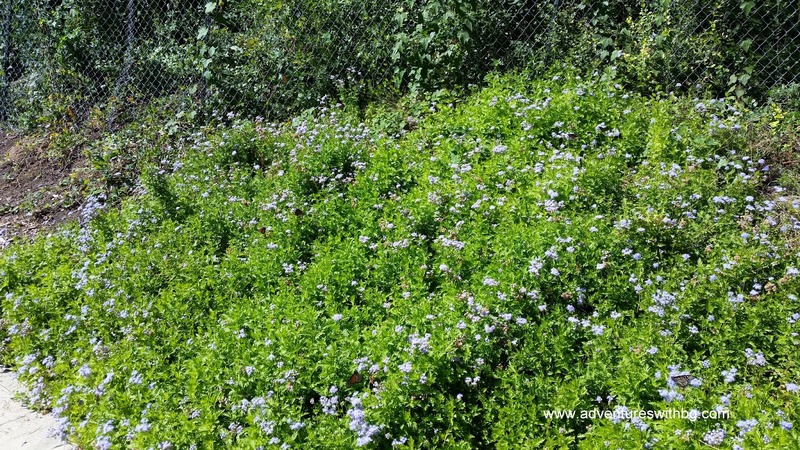 This time of year, late October, is fantastic for this walk because all of the flowers are in bloom and the beautiful days are made even better by the occasional wafting aromas. There are quite a few butterflies and bees enjoying the shrubbery as well, so if you have an allergy an epipen should be part of your gear. Gear-wise this trip is simple to plan for: Adventure clothes are preferred (but I have made the walk in a suit mid-summer without too much trouble [wife says this is because I'm a crazy person and she recommends cool, breathable clothing]), a reusable water bottle, and sun protection. Parking can be an issue in San Antonio, with most on-street parking being metered and the city owned garages all being paid, so I like to use the Koehler Garage. 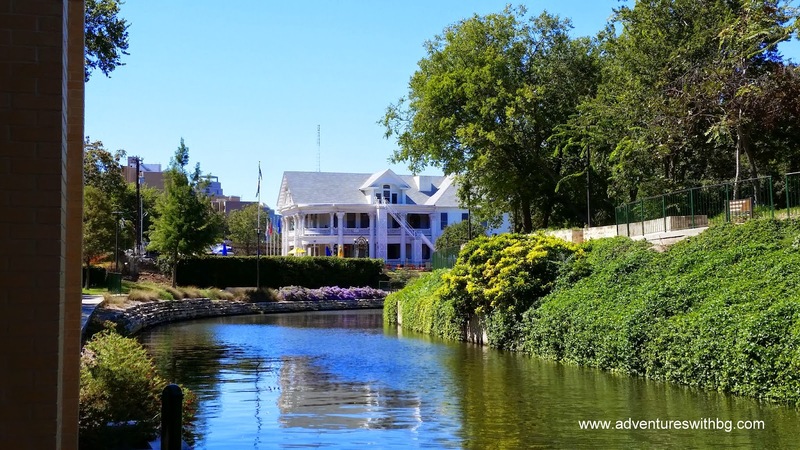 The Koehler is free to the public and is in the center of the Pearl Complex with easy access to the River Walk as well as several fantastic restaurants. 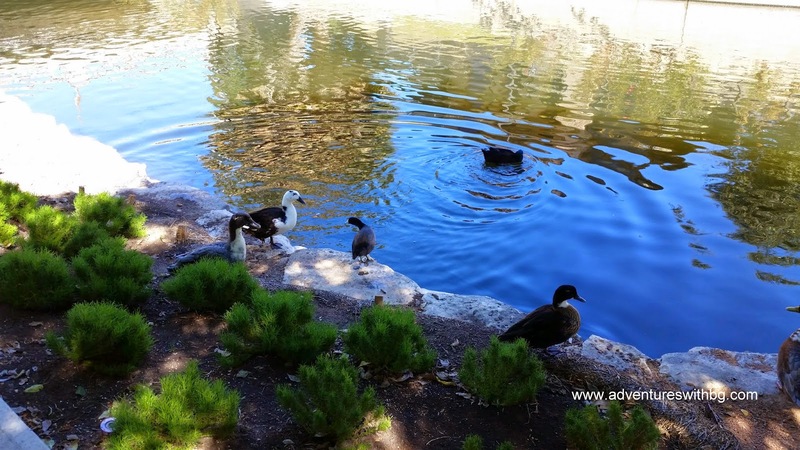 Upon walking down to the river you are usually greeted by a cadre of water fowl there just to welcome visitors to the fabulous Museum Reach. The fowl greeting party enjoy gathering at the waterfall below La Gloria, a tapas restaurant at the Pearl, to display their grooming and hunting practices to the curious public. River taxis run from 9 AM to 9 PM for a fee, if that’s how you would prefer to experience the river, but I really like to walk. The first taxi stop is about two hundred feet down river from the waterfall. 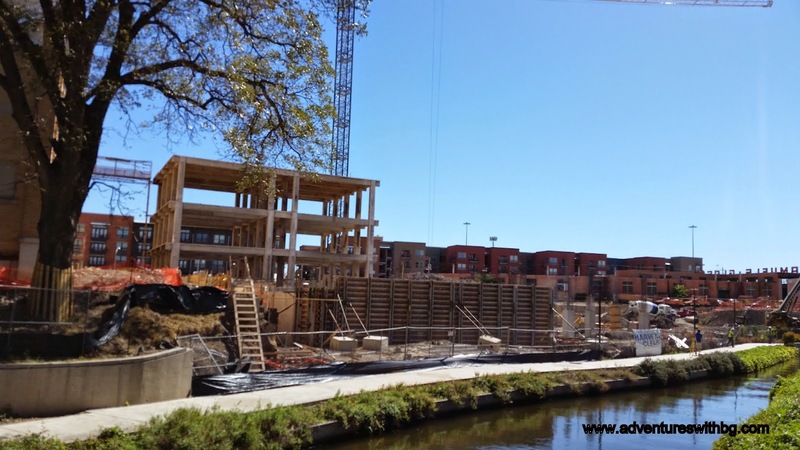 The Pearl and the Museum Reach as a whole are undergoing a lot of development. This is not surprising considering that it was just finished in 2009. It can make for a noisy adventure if all of the crews are building on the day you decide to walk, but the construction noise disappears about a third of a mile into the trip just before you come to The Grotto. 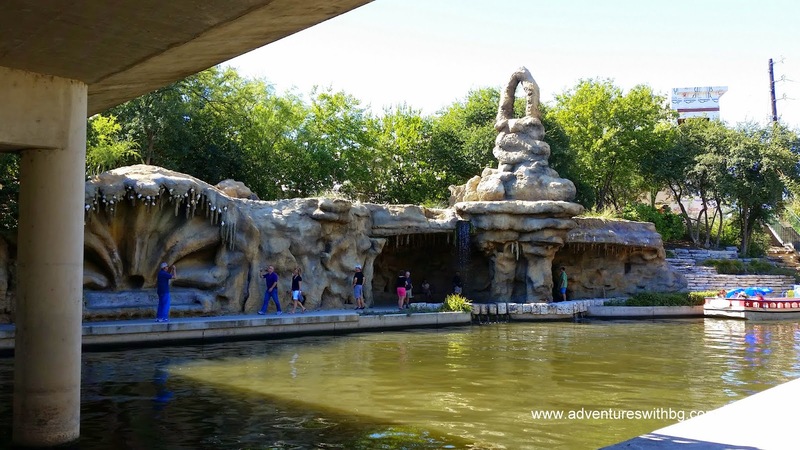 Designed by Carlos Cortés, The Grotto is a unique installation that provides a shaded resting spot for when the sun and heat get to be a little too much. Across from The Grotto is the first example of one of the city’s many faux bois features, a bench. Shortly after that you come across another of the many art installations along this section of the river. 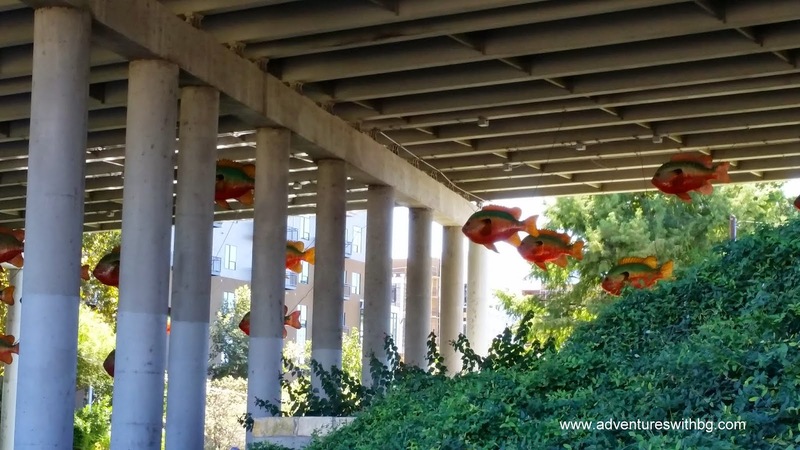 F.I.S.H, under the Interstate 35 Bridge, a Donald Lipski creation is best viewed at night when the fish light up. The next point of interest, one of my favorites, is The Luxury. An outdoor bar and restaurant by Andrew Weissman, The Luxury is put together with shipping containers and gumption with more beers available than I care to count and enough varieties of pork sandwich to sate the most ravenous of adventurer. Security is run by a mating pair of Mallard Ducks who spend much of their time protecting their turf. Across the river is the San Antonio Museum of Art. SAMA, as it’s called, boasts an array of collections from Contemporary to Ancient Mediterranean, and a few points in between. And just down river from The Luxury is the Jones Street Bridge hosting Sonic Passage, by Bill Fontana. Sonic Passage is an audio installation featuring the sounds of native Texas river wildlife. A short walk after Sonic Passage is VFW Post 76, the oldest post in Texas. At one and a third mile you come across what could be considered the most out-of-place feature of the River Walk: a lock system. The locks allow the river taxis to traverse the elevation change without the worry of downtown flooding with every good downpour. Once you cross the lock and carry on downriver an eerie silence falls over the River Walk and for a few hundred feet it’s possible to forget you’re in the seventh most populous city in the union. With the sound of falling water on your back and the smell of wild crape myrtle blooms filling the air, this is my favorite section of the walk and I always think it ends a little too soon. 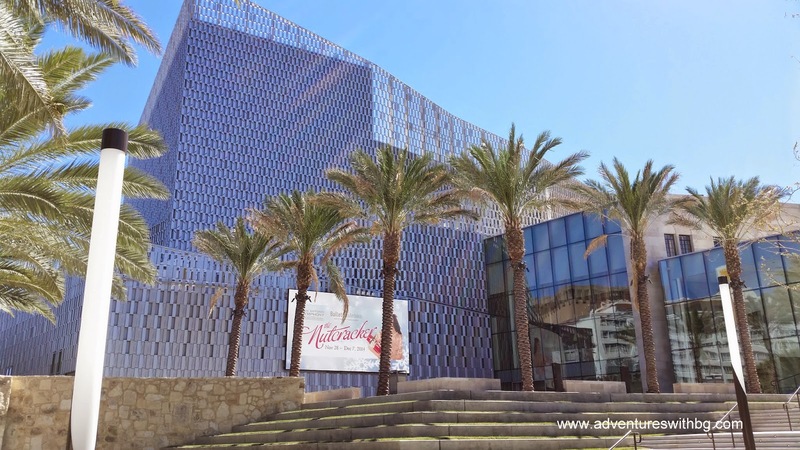 It becomes blatantly apparent you are still in a major metropolitan area as soon as the Tobin Center for the Performing Arts sneaks up from the East. 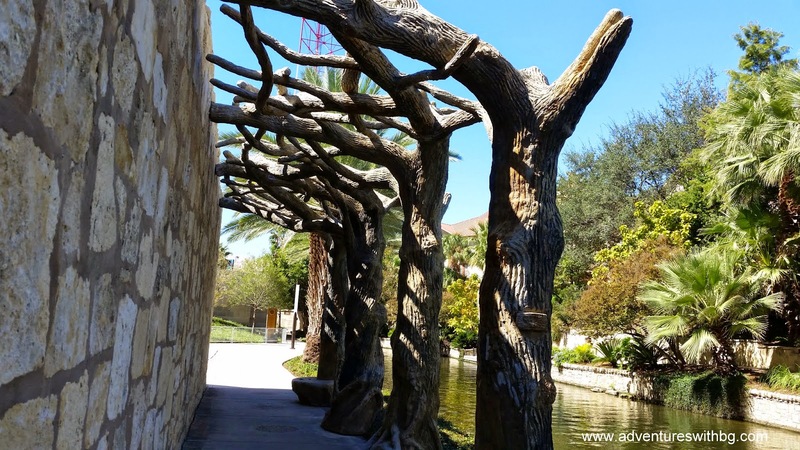 You walk under another example of faux bois to get to the façade of the Tobin Center. From there it’s a quick stroll to the Navarro Street Bridge, which is where I like to walk up to the street and visit one of the best bars in San Antonio, Ocho at Hotel Havana. After fortifying myself for the trip back to the car I set out on my way. It is possible to carry on down the River Walk to explore Downtown and beyond that to the Missions Reach, but I’ll report on that another day. The South Museum Reach is a phenomenal way to start training for more involved and demanding adventures or to kill an afternoon. The trail is incredibly easy to walk and is completely handicap accessible. Pets are welcome provided they are on a short leash and their owners pick up any waste deposited. I look forward to chronicling the rest of the River Walk for y’all, hopefully with the rest of the BeeGee crew. 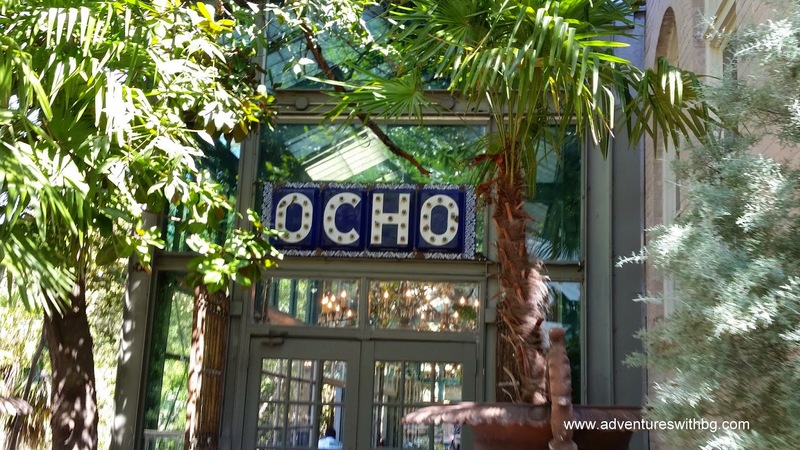 Do you have any favorite River Walk stops? I've been to the Riverwalk many times and don't remember this section. Seems I need to pay more attention. I've never been to this section either, but its part of the 2011 expansion. The expansion added a lot more miles and runs south towards Mission Espada. From what Dustin has told me it is less touristy.